The drone industry is in a continuous development and this led to a boom of devices that flooded the market with various models, producers and even clones. Nowadays we don’t even need a special controller for our drones, it’s enough to pair them with a smartphone or a tablet by installing a specific app. That’s why, in this article, we are going to take a closer look at the iPhone controlled drone. Why iPhone you say? Well, the iPhone is one of the most popular mobile devices in the world and drone producers understand that pretty well. To boost their sales and make owners feel special, they created models that pair and work with the iPhone without too much of a hassle. We put together a top of the best drones on the market that can be paired with an iPhone so keep reading to see which is going to be your next flying device. The Cheerson CX-10W drone is perhaps the smallest and the cheapest of all drones in our top 5 list. The drone is best suited for beginners who would love to learn how to fly a quadcopter. It comes in a Ready-to-Fly state and will require minimal welding if any at all. From its package it is equipped with a pair of replacement propellers, a battery, a charger and a user manual. The drone will take about 25 minutes to fully charge and offers a flight time of between 4 and 5 minutes. The drone also has a camera of 0.3MP which can relay images directly into the phone controller via Wi-Fi. It is also very durable and has a high fault tolerance. 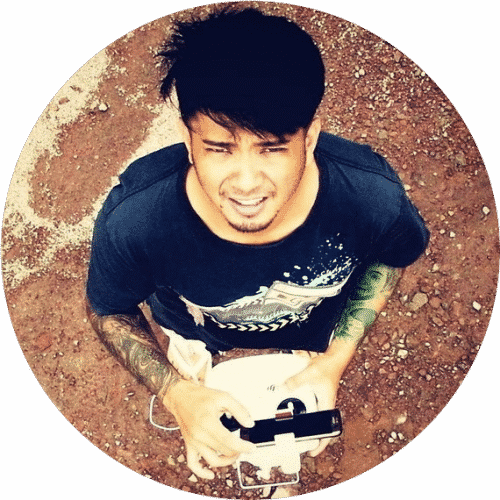 The drone’s iPhone controller is an app known as the CX-10WiFi that can be downloaded from App Store freely and installed in virtually all iPhones. Truly, sometimes a drone’s looks can deceive; but this bot is really as smart as it looks. And will thrill any user on its ease of use and the awesome user interface of the controller. The drone can spin, rotate, move forwards, backward sideways and perform drills that are virtually unimaginable. You must not be a geek in flying as with the CX-10WiFi, the drone is incredibly easy to use. Even a novice can become an expert within a few minutes of learning. The Cheerson CX-10W is a masterpiece in design, a darling in usage and a cheap option that goes for about $50. Nonetheless, on a scale of 10, this drone will scoop a 7.5 since in our ranking it misses the mark of greatness because of poor camera quality, a short battery time and a limited connectivity distance of between 15m and 30m. Even so, this drone will still be a great option when you want to have fun or learn. The Parrot AR. Drone 2.0 is among agilest drones on the market. This bot does not just move; it shoots at speeds of up to 11mph. Besides the speed, the drone also has got a magical look that is supported and enhanced by the drone’s outdoor and indoor hulls. It is quite huge, stable in flight and very steady when making video shoots or taking snaps. One distinguishing feature about this bot is that its battery can last up to 36 minutes unlike the earlier editions of Parrot AR. Drone 2.0 that lasted between 11 and 15 minutes. 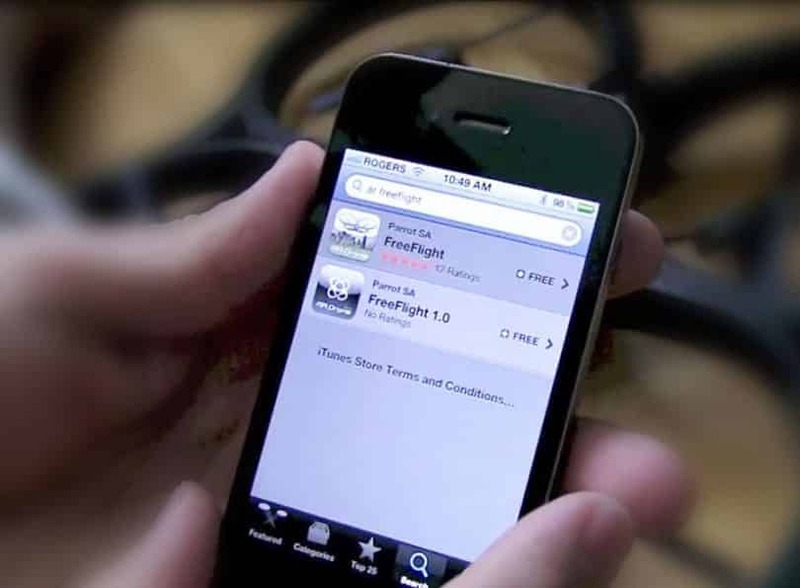 The iPhone controller for AR Drone 2.0 is the FreeFlight 2.0 app that is free to download from the App Store. When the ease of use alone has to be the key aspect in the efficiency of a controller, then surely the Parrot Company’s FreeFlight 2.0 app is still king. The same app used in the power edition can be utilized to control the traditional editions, and the Elite edition of the same. From the package, the drone comes in a fully welded state (Ready-to-Fly form). Alongside the drone itself, are shipped 2 1500 mAh batteries, 3 sets of rotor blades, a C-clipping tool (used in rotor replacement), a charger, the outdoor and the indoor hull and, of course, the user manual/guide. If you are a hobbyist you will certainly enjoy this bot owing to its ease in controlling. Further, it also has lengthier flight time that will ensure maximum fun. Though it lacks the classical camera quality, this bot has a highly advanced camera that can shoot averagely good videos and can thus be utilized for commercial usage. 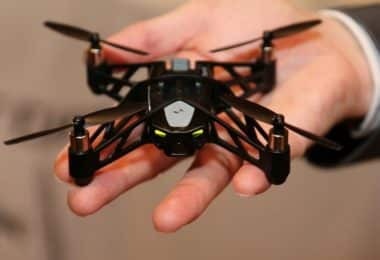 Though it is fancy, easy to use and has a longer flight time; this drone too has faced some limitations on connectivity of the drone and durability of the drone’s inner components. Thus, on a scale of 10, the AR Drone 2.0 deserves a 7.8. This quadcopter is currently priced between $200 and $300 and it’s great for both fun and commercial photography, and you can find out much more about it by reading our Parrot AR 2.0 in-depth review. The Ghost Drone 2.0A is undoubtedly one of the most formidable competitors to the DJI Phantom 2 series’ and The Walkera X350 dominance in performance. When you got to think about user friendliness and customizability of a drone think nowhere further than the Ghost Drone 2.0. This drone’s smartness is second to none of its class and will obviously thrill you when using it for the first time. It has a GPS controller (for remote controls) and an added feature that can map the flying region thus showing exact locations on a controlling map when flying. 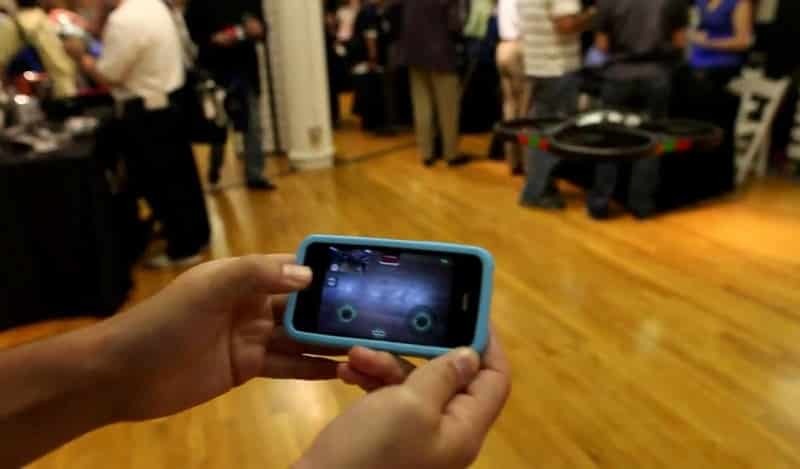 An even more fascinating feature is the “Follow me” feature provided by the app in conjunction with and the controlling G-Box that enables the drone to automatically follow the user even without the user controlling it with the controller. This means, you can actually record yourself riding your bike home. It has a flight-time of 15 – 20 minutes and takes a maximum of 60 minutes to fully charge when depleted. It is controlled via Bluetooth technology and thus has a limited measure of the effective controlling distance of about 1 KM (3,280 feet). If well welded, this drone is capable of being water resistant and thus can be used to record even in raining seasons. It has a 3-axis gimbal and it is able to accommodate various versions of GoPro cameras like the Hero 3, 3+ and the new Hero 4 cameras. Its controller allows you to have an FPV (First-Person-View) of the surveying area just as viewed by the drone’s cameras by relaying images to the controller. Even so, this drone too may become a menace to you if you hate getting your hands dirty. It is often packaged as a skeleton and requires one to weld it up, attach the gimbal, purchase and fix a camera then of course pin the propellers. Besides the headache of welding it up, comes the fear of camera incompatibility. The drone’s battery & charging systems have also met compromises in the past on grounds of a limited flight-time even when fully charged. Besides, the few drawbacks, the Ghost Drone 2.0 is surely a great device to try out more so on commercial photography; this bot doesn’t disappoint. You can spare some $600 and try it out. On a scale of 10, this bot will scoop a score of 8.4 in total ranking. It has a great ability, a little poor design, it’s hard to weld up and it is noisy, but still, it offers so many great features, about which you can read in our Chang Ghost Drone in-depth review. 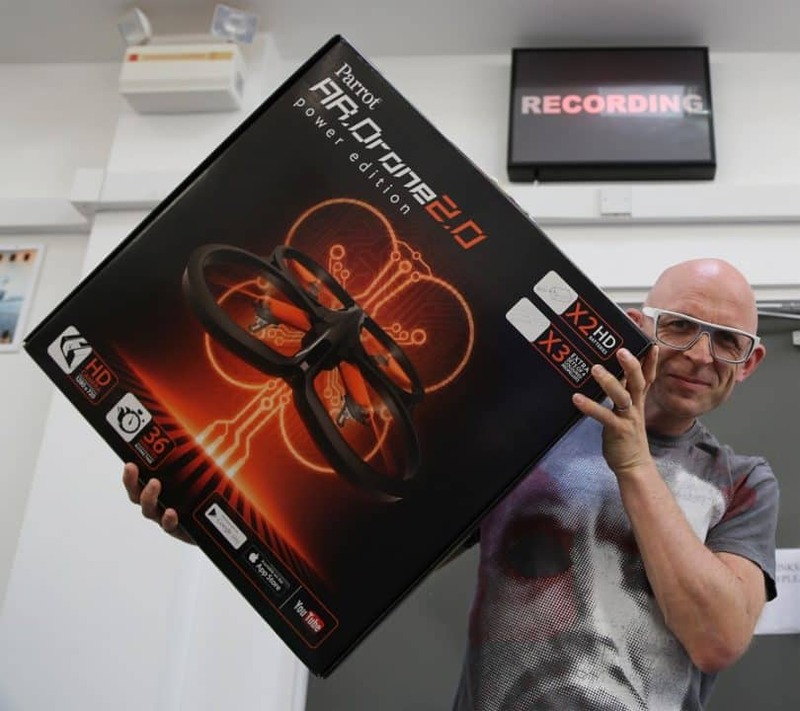 The Parrot Company is among the oldest companies to engage in the drone business. 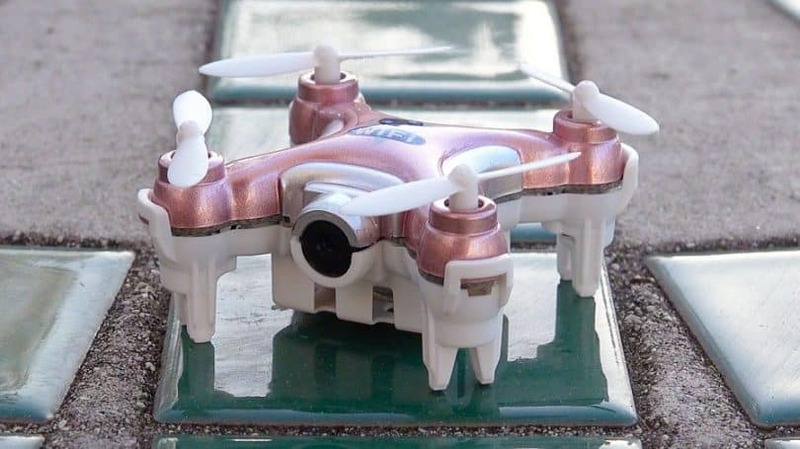 In the past, this company has released the popular fancy drones like Rolling Spider, the Jumping Sumo, and the AR Drone 2.0 (reviewed above) among others. In their third generation of quadcopters, they opted to join the world of elegance in drone capabilities. The Parrot Bebop 2 Quadcopter is one such drone. This quad truly does have enough capabilities to be desired. Never before had the Parrot Company produced a quadcopter with an ability to take images and record as the Bebop does. Parrot Bebop 2 (latest version of Bebop) has 3-axis image stabilization, a full HD (1080p) 14MP camera and a GPS stabilization feature to keep the drone safe from connectivity issues as well as enhance its stability when filming or taking photos. This drone is also programmable thus allows one to encode pre-designed moves that will foster the drone navigation. The Parrot Bebop 2 quadcopter is controlled by the FreeFlight 3 application that is downloadable freely from the Apple Store. Upon installation, the drone initiates its own WiFi network that you will connect your iPhone. If well set, the FreeFlight 3 app will introduce you to a dashboard of control and learning options. But in order to start the drone, you will choose the “piloting” option then “set off”. FreeFlight 3 is pretty easy to control and you can surely be able to control the drone perfectly immediately it is off the box. Since the Bebop uses the FPV technique, controlling it is much like playing a videogame. When coupled with the looks the bot becomes even more adorable. 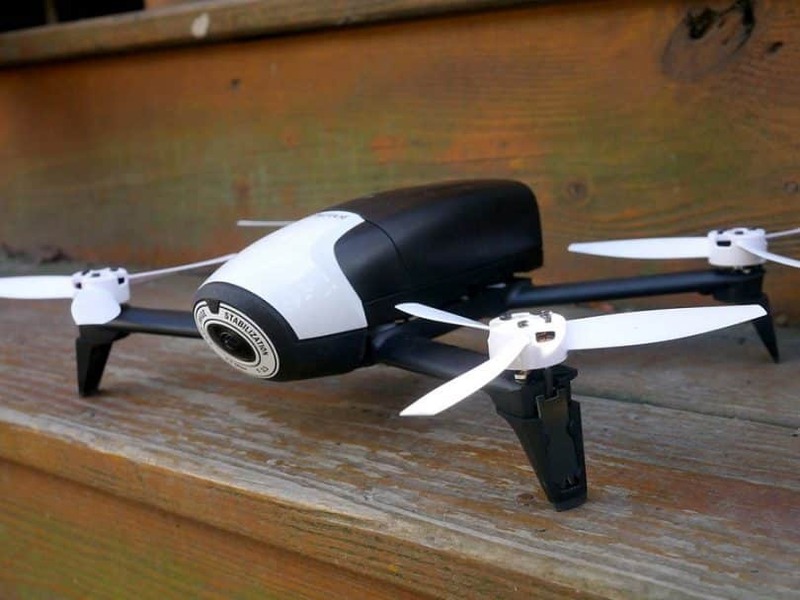 Nonetheless, the Parrot Bebop quadcopter has not been totally devoid of the negatives. This bot has a flight time of between 8 and 11 minutes which is way below most drones of its class. Just like its earlier versions, it too has faced connectivity issues that make its controlling difficult. Thus on a scale of 10, The Parrot Bebop 2 Drone scoops a score of 8.7. It is great for both fun and for commercial use. However, one will need to upgrade it software as regularly as possible. The current cost of the drone is between $300 and slightly over $400, and if you wish to get much more familiar with all the features this model comes with, we suggest checking out our Parrot Bebop 2 in-depth review. The DJI Phantom series drones have always dominated the drone market. The DJI Phantom drones do not just have the looks, but also the performance; not only the performance, but also the user friendliness. Over the years, this great company has succeeded to develop its quality from being just good, into being the masterpiece of elegance now provided by the company. Over the past 2 years, the DJI Phantom 3 professional drone has been undoubtedly the most sold drone worldwide. This drone is surely a professional quadcopter with a 3-axis gimbal and 12MP camera. It is able to shoot professional 4K videos and relay real time HD (720p) videos at a speed of 30 frames per second directly into your iPhone while controlling it. Its controller is packed with auto takeoff and auto landing instructions to ease control even further. In addition, this drone is capable to be fully controlled remotely via GPS. An added “return home” safety feature ensures that your drone will never wander away due to connectivity issues. An even more enchanting feature is the fact that currently, the DJI Phantom 3 quadcopters are among the very rarest drones with a variable warranty. This bot is packaged in a Ready-to-Fly state thus it will require minimal or no assembling at all. Don’t pay any technician; just try it out solo when using the User Guide/Manual and you will do it. 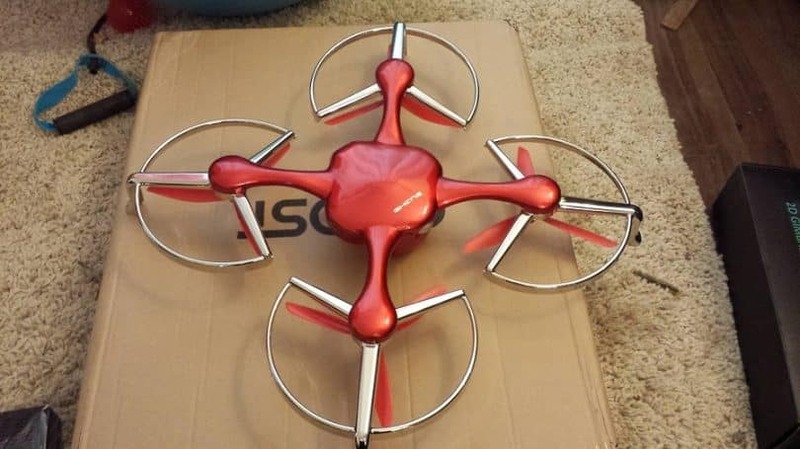 Though this drone is indeed a great piece of art in its design and an excellent quadcopter in its performance, it has a relatively expensive and the maintenance costs are even higher. The drone is priced at anything between $1000 and $1300 depending on the type of drone and the drone accessories. This drone has also faced control issues with some of the software updates of the drone. Apart from the two, this drone will surely perform. Based on our rating factors, this bot surely deserves an overall rating of 9.5 of the possible 10 mark score. If you aren’t working a fixed budget, it is advisable to try out the DJI Phantom 3 Professional quadcopter. Authenticity is the key to great quality: Most of the above reviewed drones (apart from the Ghost Drone 2.0) have in the past recorded cases of counterfeit products. The Parrot AR. Drone 2.0 leads in this drawback. Most of the fake products are often priced cheaper than the actual prices. However, they often lack some of the accessories that should be shipped with the drone or have very limited durability. So, don’t just buy, always take time to verify the authenticity of the product. If it will be compromised, return it. You got two options: keep the law or the law will keep you. Though most of the drones do not include legal warnings, it is important to always remember that advanced UAVs like the DJI Phantom 3, the Parrot AR. 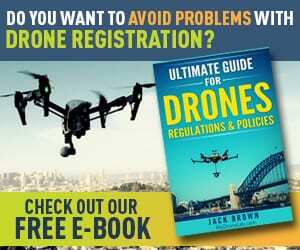 Drone 2.0 and The Bebop have varied state regulations that govern their usage. E.g. the DJI Phantom 3 will never function if you fly it within a radius of 15 miles from White House (even if it is your legal residence). Filming with such drones in some states and some countries can also lead you to prosecution. So, take time to familiarize yourself with the laws of flying before you fly, lest you could be flying all the way to prison. Do I really need an iPhone controlled quadcopter? That sounds like an obvious question, doesn’t it? But it is more than obvious because you will need to be one who loves iPhones for you to know the distinctive fun that comes with iPhone applications thus spice your love for the drones. 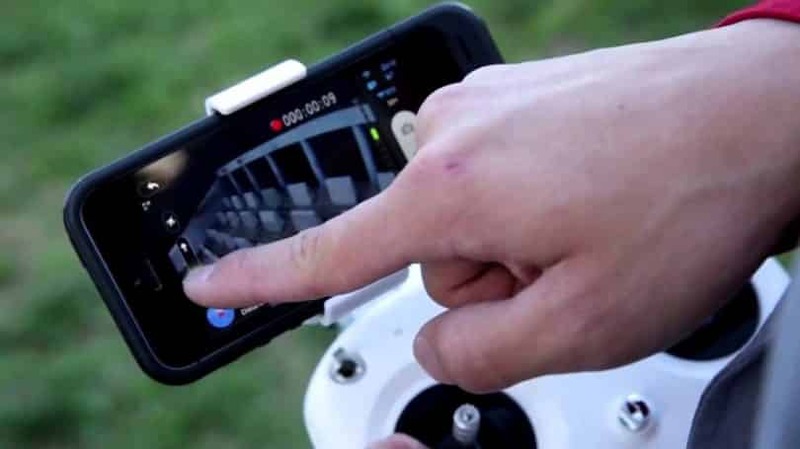 Most of the drone app controller applications in iPhone like the FreeFlight 2.0, 3.0, the CX-10wifi and the DJI Phantom controller are the easiest applications ever to use. Their fancy interface and ease of control doesn’t require much training; a novice will fly. Are you a lover of photography? Samsung and Apple companies have been in the forefront in developing highly advanced cameras in their later phone models. Even though to a great extent these companies have succeeded to compress complicated 24MP cameras complete with a “night vision” into a thin sleek phone, none of them has been able to take aerial photographs like drones do. In a recent news leak, the Apple Company had an intention of partnering with an American-based drone manufacturing company. Thus, soon iPhone lovers may have to get drones for photography alongside the mobile handsets. But still you can purchase one of the five and have an experience in aerial photography if you love flying. Must you wait for Apple Company to decide your fun? Most of the above reviewed drones are masters of acrobatics. Some, like the DJI Phantom 3 Professional and the Parrot AR. Drone 2.0 are agile like you may have not imagined yet if you haven’t used them. The best drone however for fun will be the Cheerson CX-10W. This bot is actually smaller than the other 4 drones, and is therefore best for indoor flights. It can rotate at 900, 1800 and 3600 with ease. It is stable and can shoot stable videos even with the swings. Even better is the fact that it is the cheapest. So, can’t you try it? Aerial photographing: since most people love taking snaps, this is one activity your bot will obviously give you an upper hand. In such a case, you will need to ascertain the camera quality. Drones like the Parrot Bebop 2 and the DJI Phantom 3 series will be the best in this case. 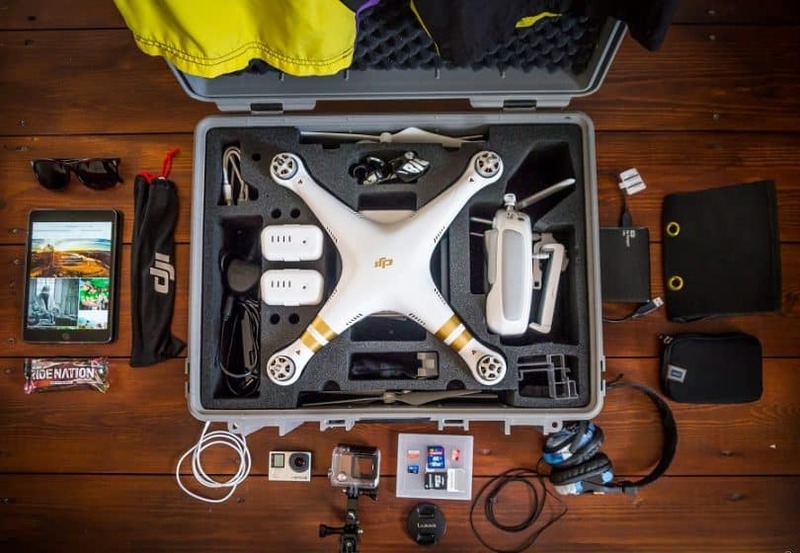 Filming: in filming, a few more considerations will have to be made like the time the battery takes to discharge, the drone’s stability and the quality of the camera. Quadcopters with gimbal like the DJI Phantom 3 professional, Ghost Drone 2.0 and other stable ones like the AR Drone 2.0 and the Bebop will be the finest in this. However, the most preferable will be the Phantom 3 professional. The Bebop may be poor owing to its limited flight time. Entertainment/fun: drones always have a sense of fun for hobbyists. As noted before, the leader in this category will be the Cheerson CX-10W drone. This bot can spin, rotate with ease move with speed and if flies too close to your friend’s nose, you can just make an emergency landing; it does take orders. The fact that it is also cheaper relieves one of the fears of huge losses as could happen if the Ghost Drone 2.0 or the DJI Phantom breaks. Piloting: if you have been dreaming of taking a flight every single day without success, these drones will present your wish onto your table daily. All the top 5 drones reviewed above have a First-Person-View controlling feature. This means, you will be able to view events as the drone’s camera views them. A drone that will give you the very true feeling of flying a plane is the DJI Phantom 3 Professional. You don’t have to believe it; you only need to try it. Training/learning: In essence, the iPhone controlled drones aren’t the best teachers you can have. These drones are incredibly easy to use. If you will need real trainer drones, it is recommended that you buy drones with manual analog controllers. Then again, in case you need to learn to fly app-controlled drones, you can look no further than the above drones. Cost: when considering cost, you will need to examine the actual buying cost of the drone and the cost of repairing/maintaining the drone in cases of breakage. It is important to note that cheap drones often have a shorter durability and a high maintenance cost. 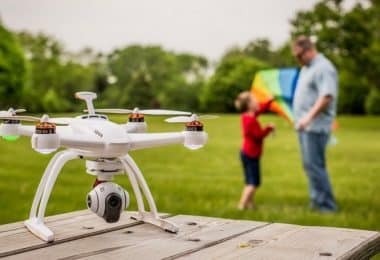 Thus, it is better to opt for the popular versions like the DJI Phantom and the Parrot though they are expensive to buy. Camera quality: the qualities of images taken by the drones are an essential feature to consider when buying. This owes to the fact that most drone buyers have an intention of taking snaps via the aid of drones. Under this consideration, the Parrot Bebop is the finest photo-drone followed by the DJI Phantom 3 and the Ghost Drone 2.0. The Cheerson CX-10W is the poorest in this classification. Drone battery & charging system: a drone’s battery will determine its flight time. Drones batteries with an ability to store more charge like the Ghost Drone 2.0 and the Phantom 3 Professional that can fly for 15 – 20 minutes have the highest fun in flying. The Parrot Bebop drone is poor for this feature. The DJI Phantom 3 professional can be modified to fly even for up to 300 minutes! This makes it the best in this category. Connectivity & ease of use: all the iPhone controlled drones above are easy to control. However, some like the Parrot AR Drone 2.0 have been compromised on connectivity issues. In addition, though most of the drones reviewed above are shipped in a Ready-to-Fly state, it is important to keep in mind that the Ghost Drone 2 comes in a Bind-n-Fly state. Thus it may require you to do some electronic work before launching it on air. If you hate fixing electronics, well, you can avoid it or hire a technician. Warranty: a warranty for a drone is an assurance of a drone’s durability. Only the DJI Phantom 3 professional has a variable warranty that at times lasts up to 6 months. Reviews: if you are buying your bot from an online seller, it is recommended that you choose high rated products from high rated sellers. High rates are an assurance of quality. When thinking about iPhone controlled quadcopters, it is certain that it is a review of the finest drones in the market. This also may present a challenge to determine which drone is better than the other. However, below are some common pros and cons shared by the quadcopters. They are easy to use: this is the distinctive characteristic of all iPhone controlled drones. They do not require any training for one to fly them expertly. Almost all of them have a FPV (First-Person-View) feature. Have a higher quality: most of these drones also have a great camera quality and an accompanying airborne performance. Have longer control distances: the iPhone controlled drones also have a tendency of accommodating longer control distances unlike their counterparts. Some like the DJI Phantom 3 can even be controlled remotely. Epic designs: most of them have very awesome designs. They also have minimal connectivity issues. They are relatively expensive. Often than not, iPhone controlled drones tend to have a relatively higher buying cost than other drones. 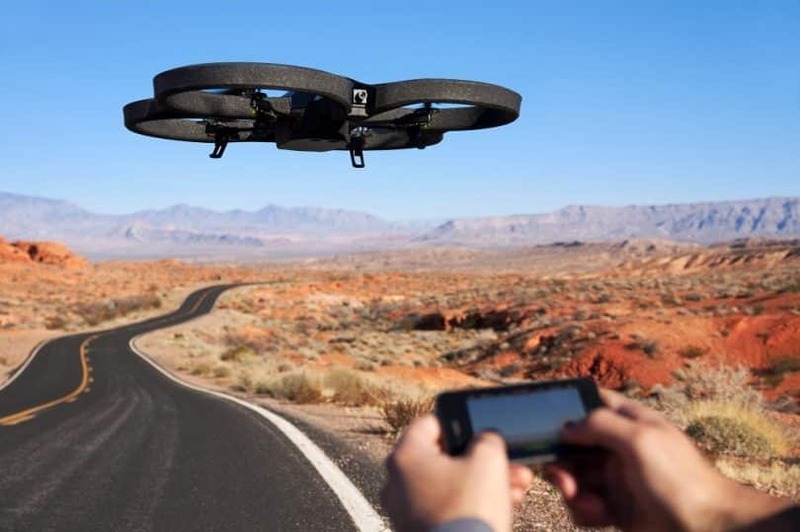 The success of any great drone does not rely much on the appearance and hardware ability of the drone alone but also on the user friendliness and ability of a drone’s accompanying software. Most iPhone users are usually lovers of classical applications. The 5 reviewed drones above may not even be the very best drones in the market; nonetheless, they all present a varied category of special updated features that will ensure your flight experience is extraordinary. Don’t be frightened by the price tag, go ahead and buy one. If you followed keenly through our guide, you will certainly enjoy the drone experience. 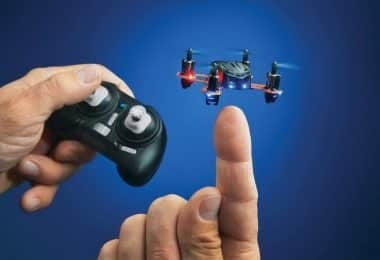 BEST PICK Top Miniature Drones on the Market: Get The Best of Both Worlds!